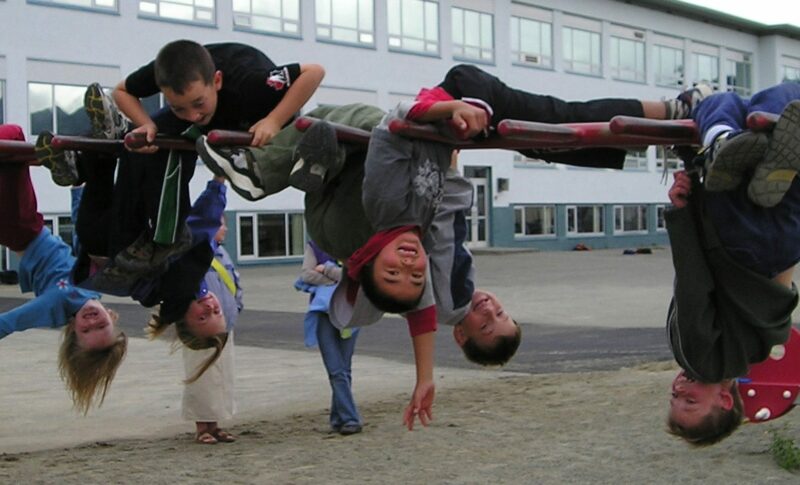 Recreation North has designed a training program based on thirteen competencies that are essential for leading in community recreation. If you live in Yukon, NWT or Nunavut, and work or would like to work or volunteer in recreation, this Program is designed for you. You now have the option of registering for one or more learning events. 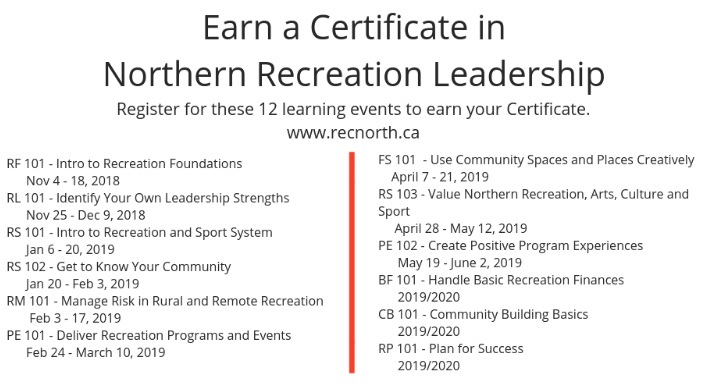 Those taking the learning events have the option of working towards a Certificate in Recreation North Training Program. To receive your certificate you need to complete the following 12 learning events. Each learning event will have 2 one-hour conference calls on Thursday’s. Learning events cost $45/learning event for RPA Members. Learning events cost $55/learning event for NON-RPA Members. For more information about the Program, please check out our News updates or connect with us on Facebook. Thank you to the Arctic Inspiration Prize for funding the Program development.